October is Breast Cancer Awareness Month. In case you don’t know what breast cancer is, it is a type of cancer that develops from cancerous tumors originating from breast cells. 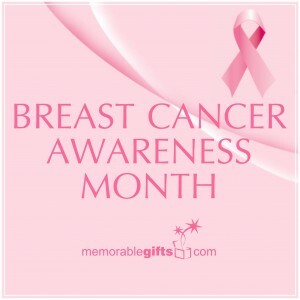 Unfortunately, 1 in 8 women will be diagnosed with breast cancer during their lifetime. Most breast cancer cases are found in females, but it can also be diagnosed in males. According to the National Cancer Institute, there are an average of 232, 340 cases of female breast cancer and 2,240 cases of male breast cancer reported in the USA each year. That means one case of breast cancer is diagnosed every 2 minutes and one woman will die of breast cancer every 13 minutes. Breast cancer is the cause of 39.620 deaths each year. It is the most common cancer in females, but it can be successfully treated! Researchers have been spending years trying to find a cure for breast cancer but there is still ways to go. Get informed on what you can do to help prevent your risk and support the fight against breast cancer. 1. Volunteer your time to help those who are facing breast cancer and help with their physical, social and emotional needs. 2. Take part in research, the American Cancer Society conducts studies that examine cancer causes, prevention, and survivorship issues. Even though you aren’t diagnosed with breast cancer, researchers can still learn ways to help battle breast cancer. 3. Make your voice heard. Get informed about breast cancer issues and exercise your rights as a citizen to support causes that you feel truly passionate about. 4.Find a walking event in your community that is raising money for breast cancer research. Some of these events include, Like Making Strides Against Breast Cancer which holds walking events in communities all across the US every year. 5. There are some things you can do to help lower your risk of developing breast cancer which include, staying physically active, eating a healthy diet, and limiting how much alcohol you drink.